LEAD HI offers Holistic Solutions to your organization's roadmap sentient Lead Hi Provides a comprehensive range of services to its customers in order to meet the market demands without any compromise in delivering superior levels of services, at the most competitive rates in the industry. Mr.Dheenadayalan is the Principal Consultant, Founder & Chairman of Lead Hi Multi Projects Development Consultancy Private Limited. He is a post graduate in Personnel Management and Business Administration. 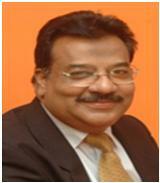 He has worked in Sundram Fasteners Ltd, a bluechip TVS Organization. With the valuable Corporate ‘on field’ experience he entered into the field of management consulting in the decade(1990s) where many companies in south India were not able to get professional expertise to their organization. At that time there was a pressure to fill up the gap of professional expertise and that's when consultancy organizations were engaged. Leadhi was the first consultancy firm in 1994 which was engaged by today’s big players. Since 1994 Mr.Dheenadhayalan has worked with nearly 170 prestigious clients.